You are here: Home / Blog Post / Learning to expand my soul … and bank account. Keeping in mind that Red Apple Auctions only works with charities … and realizing that these charities raise money for causes which pull at our heart-strings … and given that my talent is helping these charities raise money through benefit auctions (i.e. putting “money in the bank”), making a decision to attend this event was a no-brainer. It seems to be a perfect fit! 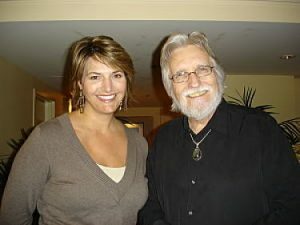 In addition to Christine’s teachings, we’ll hear from a keynote speaker each day, including Neale Donald Walsch, author of the Conversations with God series. Other speakers include Marianne Williamson, James Twyman and David Naegle. I sense this will be a feel-good, uplifting, positive seminar, and know that some of the ideas will be immediately put to use in my business. Christine grew her business by studying under Alexandria Brown and David Naegle. I know that David will be speaking, but I wouldn’t be surprised if Ali also stops in, as this is in her backyard.